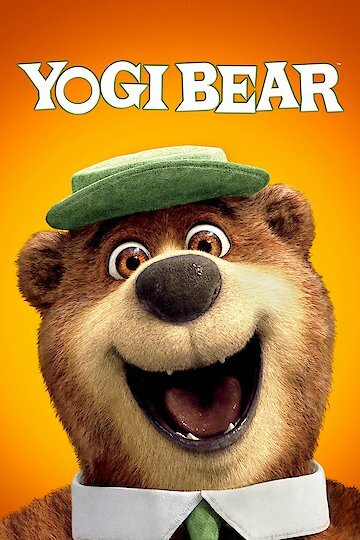 The 2010 comedy bear film Yogi Bear starring Anna Faris, Dan Akroyd, and Justin Timberlake is a fun loving comedy that may not have received the most positive reviews, but it was greatly enjoyed according to Entertainment Tonight. This film earned a grossing of $201 million, while it earned 13% from movie critics. Yogi bear and Boo-Boo are known for being two brown bears that have an act for continuously stealing picnic baskets and food from Jellystone Park visitors. While the two bears steal the food, park rangers Jones and Smith do everything in their power to prevent this from happening. Meanwhile, Rachel, the nature documentary maker, has arrived at the park for her to make a movie about Yogi to show the world that this rare bear can talk. To catch Yogi on tape she places a camera on Boo Boo's bow tie. Meanwhile the Mayor R. Brown has realized that Franklin City has been facing bankruptcy because of his profligate spending. To solve the problem he simply funded his own election campaign for himself to be the governor next election. Then the mayor selects Jellystone to be the logging site, in turn Jellystone will need to prepare for a permanent shut down. In order to save this park from shutting down, the Ranger Smith decides to hold a Centennial festival that involves everyone hoping to make money by simply selling Season Passes. However, the mayor isn't happy about this idea so he decides to sabotage the effort, and plays on Jones' desire of being the head ranger and simply promises him his life long position if the money is not raised. Yogi however had promised Smith that he won't appear throughout the entire festival, but Jones convinces Yogi to go ahead because he has a very great plan to save the park. In the end the Jellystone park is saved and the cruel and selfish mayor is placed exactly where he belongs. Yogi is now longer bugging all the guests and everyone leaves happy. Yogi Bear is currently available to watch and stream, download, buy on demand at Amazon Prime, HBO NOW, Amazon, Vudu, Google Play, iTunes, YouTube VOD online.